The Chofetz Chaim (R' Yisrael Meir Kagan d.1933) used to tell a story (recorded in ספר חפץ חיים עה"ת on Parshas Korach) about a machlokes - a dispute - that broke out in a small town between a resident and the head of the community. The machlokes deteriorated to the point that the resident threatened to inform on the head of the community to the government about various illegalities he was involved in. When the resident's wife learned of this, she tried to convince him not to do so, pointing out that the head of the community had been responsible for freeing their own sons from the draft. (Referring to the infamous Cantonist decrees of 19th century Russia.) "If they investigate him," argued the wife, "they will also arrest our sons!" The husband replied, "It is worth it! It is worth it for all of us to be imprisoned, as long as we can lower him from his position!" The Chofetz Chaim pointed out that once a person is involved in a machlokes, there is no telling where it may end. The incident with Korach in this week's parsha is the classic case of machlokes. Although he was one of the greatest men of his generation, Korach's desire for honor and his jealousy of Moses and Aaron led him entirely off the proper path. His name is now used to epitomize the baal machlokes (disputatious person) to the degree that the mitzva to avoid machlokes is "לא יהיה כקרח ועדתו" - "Do not be like Korach and his congregation" (Numbers 17:5 - Talmud, Sanhedrin 110a). Any machlokes which is for the sake of Heaven, "its end will be upheld," and a machlokes that is not for the sake of heaven, "its end will not be upheld." What is a a machlokes that is for the sake of Heaven? This is the machlokes of Hillel and Shamai. What is a machlokes that is not for the sake of Heaven? This is the machlokes of Korach and all his congregation. Here we find that the Sages made a critical distinction between two kinds of machlokes, "for the sake of Heaven" and "not for the sake of Heaven." However, there are a number of aspects of this mishna that need to be explained. Most importantly, what exactly is the difference between these two categories? The commentaries explain that the essence of machlokes for the sake of Heaven is a dispute in which all the disputants are motivated by the commitment to determine the true will of God as expressed in His Torah. While they may disagree about the details, the core motivation of both sides is identical. This is the kind of dispute we find throughout the Talmud and traditional literature, and it is exemplified by the famous disputes between the great Talmudic sages Hillel and Shamai. The Baal Shem Tov, R' Yisrael Baal Shem (d.1760) (ספר הבעש"ט - ואתחנן מט) made an analogy to a group of architects who were appointed to design a palace for the king. The architects met to begin their plans and they began to disagree. Each one had a different idea as to what would make a more beautiful palace. Even though they are in disagreement about the details of the palace, their basic goals and motivation are identical. Each one seeks to express his love and respect for the king in the best possible way. Similarly, taught the Baal Shem Tov, when Torah scholars argue for the sake of Heaven, as we find in the Talmud, their disagreement is only on the details of how to serve God properly, but their basic values and motivations are the same. R' Chiya bar Abba said, Even a father and son [or] a rebbi and disciple who study Torah at together (literally, "in one gate") become enemies of each other but they do not move from there until they love each other. Behold, even though to the observer it seems as if [the Torah scholars] are engaging in machlokes in their disputes with each other on the law... on the contrary, such machlokes is nothing but peace! While the Sheivet Mussar explains this idea in rather esoteric kabbalistic terms, the basic idea is clear. Whatever the disagreements may be between Torah scholars, they are rooted in core values that are not in dispute at all. The love of God, the commitment to obey His will as expressed in the Torah, and the commitment to absolute truth in the pursuit of those goals - these are held to by both sides and, when all is said and done, it is these values that really matter. The machlokes of the Sages is only on the surface, but with regard to the most basic and central issues they are entirely בשלום - at peace. Indeed, the very passion with which each side argues for its position and attacks the others testifies to their commitment to these shared values. I have heard explained that "its end" refers to the purpose that was sought from [the machlokes]. In a machlokes for the sake of Heaven, the purpose and the end that is sought in the machlokes is to know the truth, and this purpose will be upheld, as is said, "Out of debate the truth is made clear." As it is was clarified by the the machlokes of Hillel and Shamai that the law is like the academy of Hillel. But by a machlokes that is not for the sake of Heaven, the desired purpose is the pursuit of power and the love of victory. This purpose will not be upheld, as we find by the machlokes of Korach and his congregation. Their goal was the pursuit of honor and power and in the end they found the opposite. Why did the academy of Hillel merit that the law should be according to their words? Because they would study their own words as well as the words of the academy of Shamai. Moreover, they would study the words of the academy of Shamai before they studied their own! 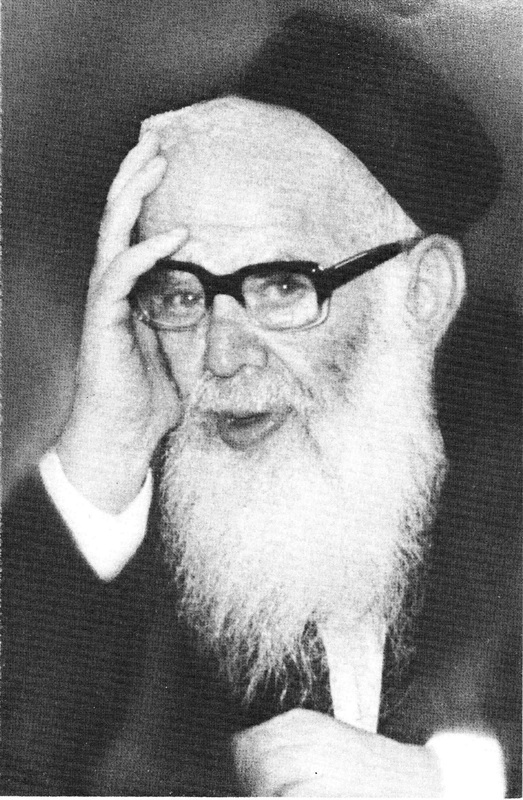 R' Chaim Shmulevitz (d.1979) points out (שיחות מוסר תשל"ב - מאמר ל"ג) that this demonstrated that the academy of Hillel was devoted purely to knowing the truth to an even greater degree than the academy of Shamai. Because of their complete devotion to knowing the truth, they merited to be the dominant opinion. How harsh is machlokes! For we have seen many holy yeshivos that continued to function even in the most difficult of circumstances, and they were destroyed in the end only by machlokes. Even though the beis medrash (Torah study hall) is a miniature Mikdash (Holy Temple) in which the Shechina rests... but machlokes causes the Shechina to depart and it becomes, God forbid, a "house" of the soton. Knowing all this, we must still bear in mind that Korach and his congregation were men of great stature. While it is very easy for us to talk about the evils of machlokes in theory, in practice it tends not to be so simple. Whenever there is a machlokes, the instigators always claim to be acting for the sake of Heaven. This was certainly true of Korach. So how is the ordinary person to distinguish between a true machlokes for the sake of Heaven and one that is not actually for the sake of Heaven? Indeed, one of the more disconcerting aspects that arises from the story of the dispute is that Korach apparently believed that he was in the right and that, when they all came before God with their burning incense, God Himself would chose him as the high priest. This tells us that not only can it be difficult for an outside observer to know if a machlokes is truly for the sake of Heaven, but it can even be difficult for the leader of the machlokes to recognize this! These signs are therefore vitally important not for judging others, but for assessing ourselves. One method is alluded to in the mishna. When the mishna gives an example of a machlokes for the sake of Heaven, it refers to Hillel and Shamai, the two opposing sides in the machlokes. When the mishna gives an example of a machlokes that is not for the sake of Heaven, however, it identifies "Korach and his congregation," which was only one side in the dispute. On the simplest level, this is because, while Korach and his congregation instigated the machlokes against Moses and Aaron for their own selfish purposes, Moses and Aaron acted purely for the sake of Heaven. However, a number of commentators (עץ יוסף, עקבי הצאן, מלבי"ם) see in this an additional lesson. When Korach and his congregation began their machlokes, each one of them was motivated by his own selfish purposes. Their alliance with the others was purely one of convenience, to enable each of them to achieve his own goals. Ultimately, each of them really wanted to gain power exclusively for himself. Thus, when Moses told them that each claimant to the high priesthood would burn incense and God would choose the one who was worthy, Korach correctly understood this to mean that only one of them would survive (רש"י טז:ז). Yet, this did not bother Korach, because Korach did not care a whit about "his congregation". They were nothing more than a tool for Korach to use. Thus, not only was there discord between the two ostensible sides of the machlokes, but there was also discord within the camp of Korach and his congregation. They too were not truly at peace with each other. This is a sign that the machlokes is not truly for the sake of Heaven. If the disputants, asides from the specific issue in which they disagree, love each other completely, heart and soul, this is a sign that their machlokes is for the sake of Heaven. However, if they are enemies and hold hatred towards each other, then this is not a machlokes for the sake of Heaven and the soton stands among them. The disagreements of Hillel and Shamai never impacted upon their love and respect for each other. This is a sign that their disputes were motivated purely for the sake of Heaven. If however, the machlokes leads the disputants to express hatred towards their opponents, as we find by Korach and his congregation, then this is a sign that the machlokes is not for the sake of Heaven. In general, one of the most reliable ways to know if a machlokes is truly for the sake of Heaven is to look at the methods used by the disputants. By Korach we find that he made use of a wide range of "dirty tricks" to achieve his goals. He engaged in the worst forms of lashon hara and motzi shem ra (libelous gossip and tale-bearing), accusing Moses of being a power-hungry egomaniac and even of immoral behavior (Talmud Sanhedrin 110a - חשדוהו באשת איש). We also find that he made use of leitzanus (mockery) in his attacks on the Torah (such as his mockery of the laws of tzitzis and mezuzah) and of chanufa (flattery) and other forms of bribery in his appeals to the people. אמר רב, און בן פלת אשתו הצילתו. אמרה ליה, מאי נפקא לך מינה? אי מר רבה אנת תלמידא, ואי מר רבה אנת תלמידא! Rav said, On ben Peles was saved by his wife. She said to him, "What are you going to get out of this? If he is the master you will be the disciple, and if he is the master you will be the disciple!" The Sages praise the advice of On's wife very highly, applying to her the verse from Proverbs (14:1), חכמות נשים בנתה ביתה - "The wisest of women builds her house." Sometimes the greatest wisdom is also the simplest. While On almost certainly believed, at least initially, that he was supporting the right side in the fight, his wife was wiser than he. "This is not your fight! Stay out of it!" With this advice On's wife saved her husband and her family from the fate of Korach and his congregation.